Ok, let me start off by saying, this isn’t a hatchet job on the President. I have seen a lot of claims about President Trump’s positive influence on the economy as measured specifically by the success of the DOW and NASDAQ exchanges, and the unemployment rate. These are not the items I personally have chosen to look at, but ones that seem to come up often in conversations on social media and the news. Just one example from social media. The thing about claims like this, is that these are easily verifiable from sources that both sides of the argument actually trust. NASDAQ and DOW performance is rigorously tracked and archived, and well, unemployment is tracked by the Bureau of Labor Statistics. So, lets take a look and see what they say. First up is the NASDAQ score. We can see over the recorded market summary of Nasdaq Composite that a nice linear growth existed from early 2000 until about 2007 in which a recession began. This recession ended in roughly Nov 2008 in which the market stayed stable before beginning a rather stable, and somewhat linear growth (small fluctuations on the way) until Jan of 2018. 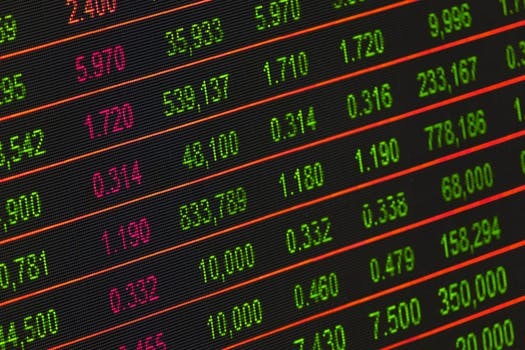 At this point there were several sharp drops and rises which have thus far seemed to be maintained until today – which is actually a rather unstable market – but not necessarily something to be worried about. When we look at the DOW, we actually see a very similar trend, and pretty similar critical dates – those dates in which a trend changes. 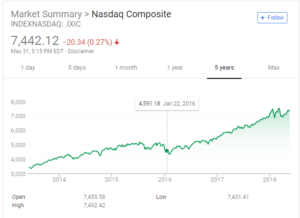 The only difference really is that where the NASDAQ has had a couple extreme jumps up and down over the past five months, the Dow hasn’t really recovered from its January loses, though it does look as though it could be at the start of a trending growth again. Looking at this data, here is what we can say for a fact. A growth trend existed in both the NASDAQ and the DOW since about the end of the first year of President Obama’s term. That growth continued through the first year of President Trump’s term. Both the NASDAQ and DOW dropped in January of President Trump’s second term, though no significant vs the grow gained in the previous 4 year term, the NASDAQ does not yet seem to have stabled out, while the DOW has not yet fully recovered. The specific claim of the example post says that unemployment is at an all time low. This isn’t true, it has been lower several times, but not since 1968. Either way, I think everyone can agree that this isn’t really the heart of the claim. Really the claim is about President Trump being responsible for the current very low rate of 3.9%. 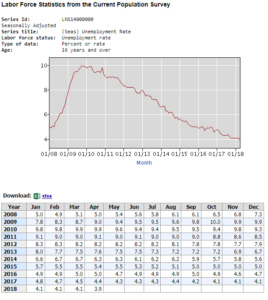 Unfortunately, when we look at the history of the unemployment rate at BLS, we clearly see that the Bush era left unemployment rate closing in at 8%, reaching a maximum of 10% during President Obama’s first term. However, after that the rate has made a steady decline over the remaining 7 years to a low 4.1 when President Trump’s presidency began. FiveThirtyEight did an interesting article on the ability for Presidents to effect the economy in general back in 2016 (ie not a piece on Trump or Obama, just the office itself. It makes the point that first, Congress can effect the economy in much more profound ways than the President. Second, that the effects of the President on the economy are often invisible for years, and sometimes even a decade, depending on what exactly was done. This is not an idea that is unique to the ABC owned opinion poll analysis site. We can safely say that it is very rare for a President’s administration to be able to effect the economy within the first year. Given this as a preface, we can add some conjecture to say at best, President Trump has been a good steward of economy by not making any changes drastic enough to effect the stock market or unemployment rate within the first year of his presidency. 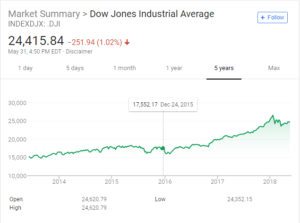 At worst, we may say that while unemployment has maintained its downward trend, we may be seeing the first signs of President Trumps effect on the stock market after his first year. The reality is, however, we simply haven’t had enough time to actually see. I suspect we will not have a real idea of President Trump’s policies until well into the third, and maybe even fourth term of his presidency. So if you want to argue how well President Trump is doing – that is fine, but the state of the economy isn’t (yet) evidence of how well he is doing. Building our toolbox for spotting fake news.